A one-time price of $2,795.00 will be added to your order. 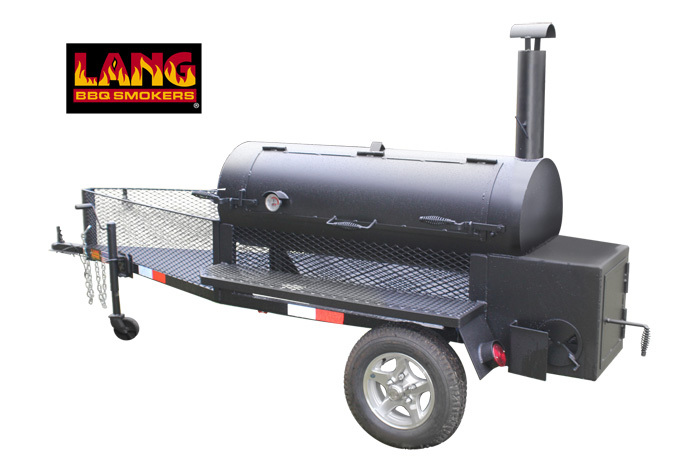 Individual Family Batch Smoker Cooker on Mobile Trailer Frame. Great for family backyard use and competitions. Bottom (2) Racks: 54" x 18"
Upper Rack: 46" x 17"
Available Upon RequestNo frame version for mounting in outdoor kitchen or a permanent BBQ pit at discounted price ($200 off price).